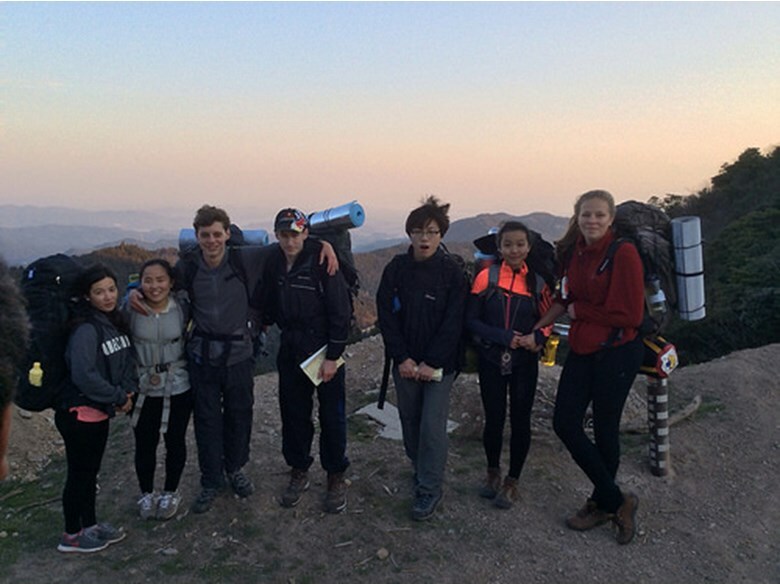 The International Award is the international version of the Duke of Edinburgh Award, which has a long and prestigious history. Comprising of three levels, bronze, silver, and gold, the International Award is a long and arduous journey that requires dedication from its participants. Students are expected to work individually and as a team to work their way through the different levels, which by their nature will take several years. 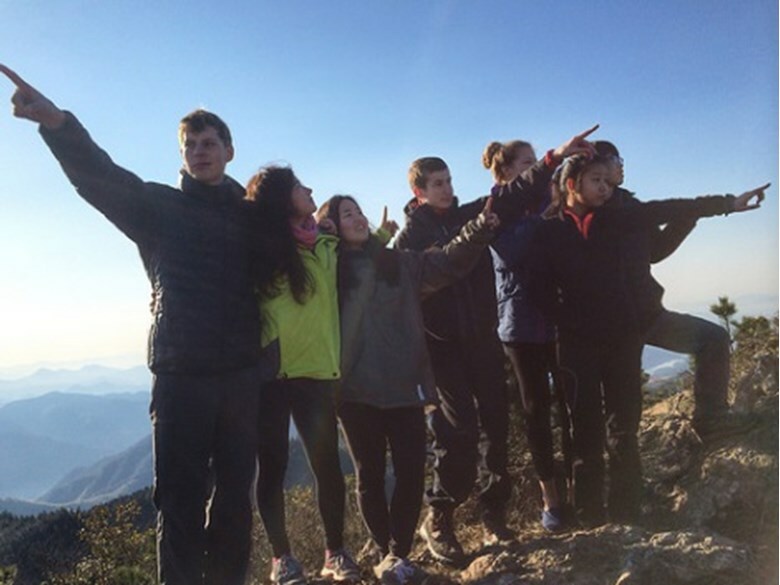 For the past year seven dedicated students have been working on an individual basis to reach the standard that is required for the silver award, which culminated at the end of March with an adventurous expedition into mountains surrounding the town of Ninghai. The journey started months previously in classroom with Miss Kilpatrick, who as a new teacher to the school, had agreed to take on the task of guiding this group of students through the last part of their journey. The first task was for the group to organise the company that was going to teach them the skills they required to take on their journey. The group then set about the most important task of making sure that they would have the right equipment, as well as planning food and menus for each day that they would be away from civilisation. 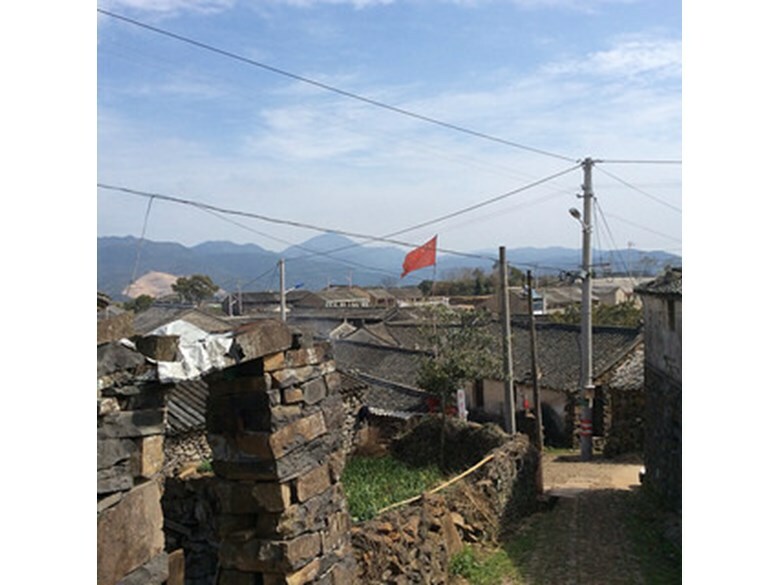 On the morning of the 20 March, the majority of the group met bright and early at the school to take the mini bus they had organised to Hongqiao train station; at this point Miss Kilpatrick and Mr Haley were mere spectators, leaving their fate in the hands of the students to get them to the town of Ninghai. 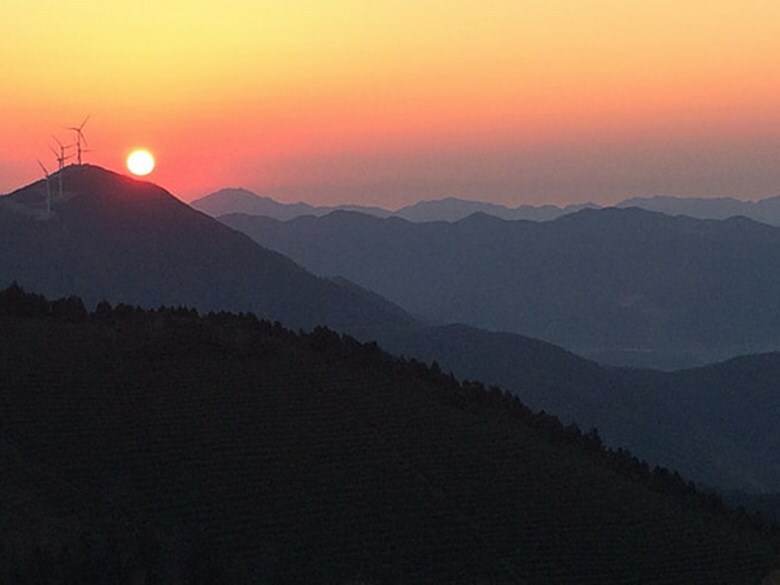 The journey went flawlessly, with all members of the group reaching Ninghai with precision timing, as well as meeting up with their International Award assessors, Luke and Jerry. 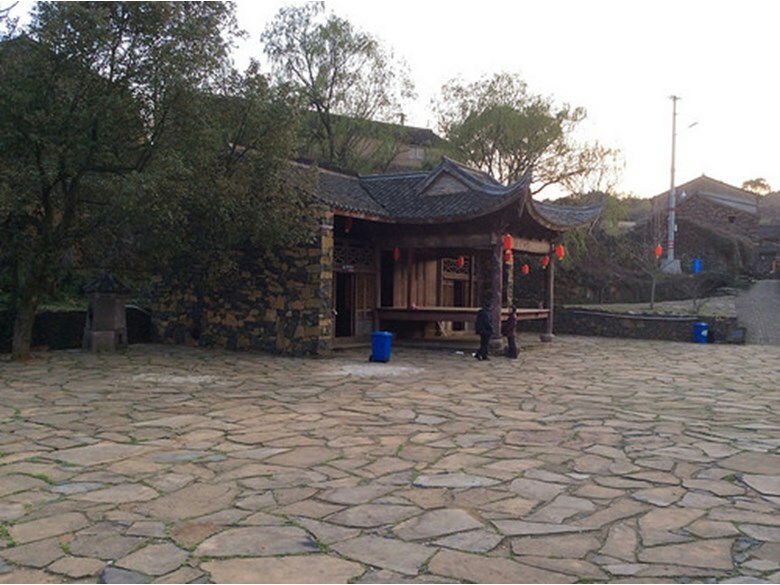 The first night of the journey was to be spent in a nice warm hotel in Ninghai, which may have lulled some of the group into a false sense of security, but allowed time for them to be taught the fundamentals of outdoor cooking and packing a rucksack. 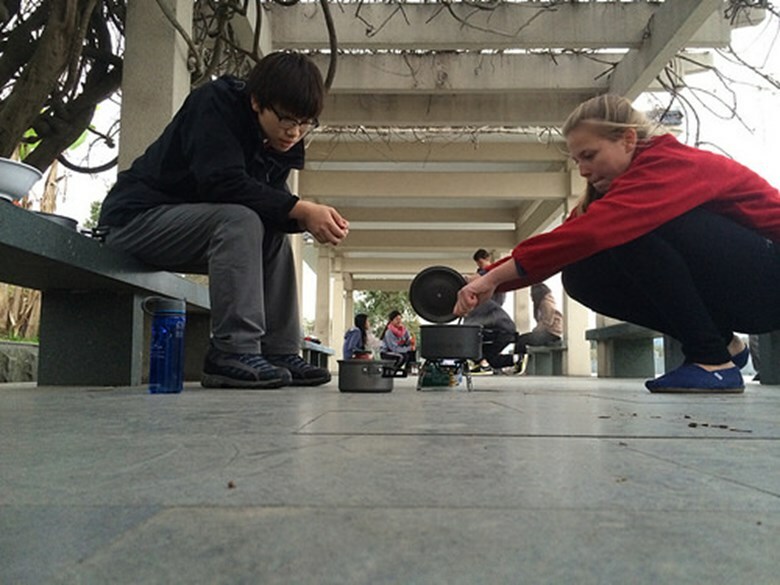 The group showed their aptitude for cooking on a small stove, with only Miss Kilpatrick, the seasoned traveller, managing to spill the entire contents of her’s and Mr Haley’s food onto the floor. Retiring early for the evening in anticipation of a long day ahead, the group appeared confident and excited about what lay ahead. 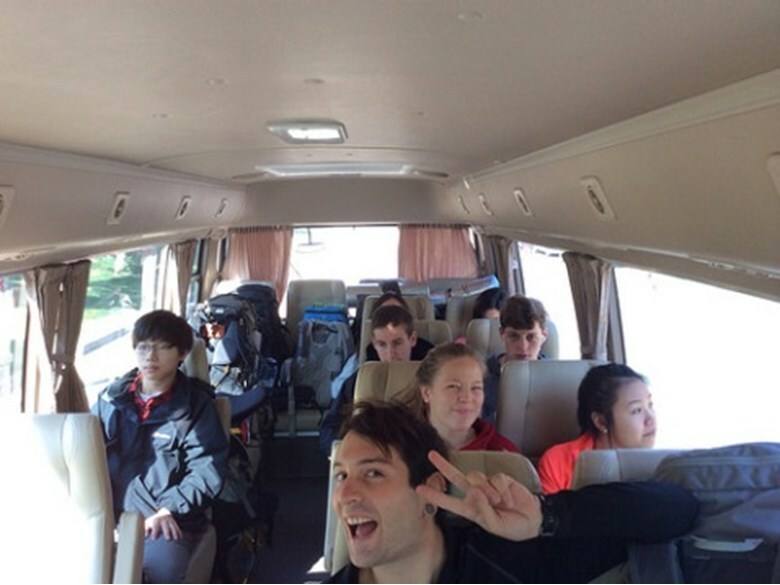 The next day started bright and early, and after a hearty breakfast the group set off to their journey’s beginning. 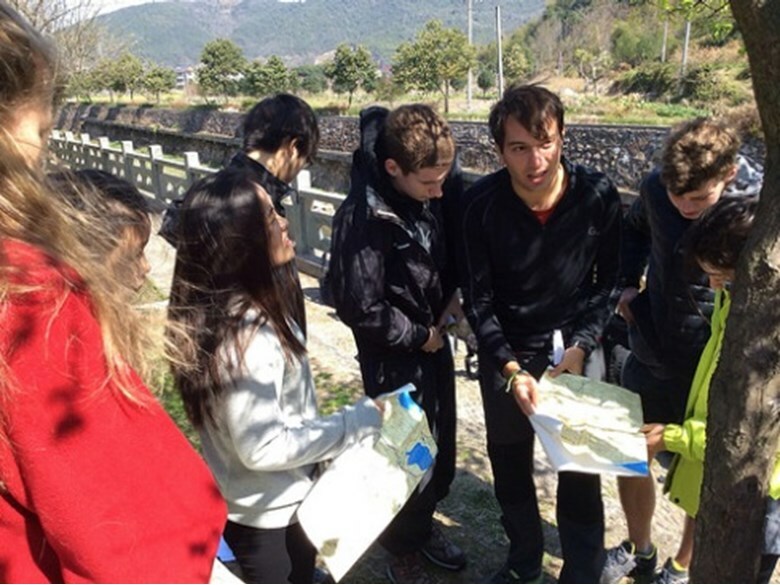 On arrival at the small village the group had a short lesson on another fundamental of trekking, using a compass and map reading. At 11 o’ clock the group were let loose on the mountains by Jerry and Luke, to make their own way to that evenings camp site. Luckily the day had been kind, and the weather was perfect for trekking across reservoirs, through bamboo forests, and the green tea plantations at the top of the mountains, all in an effort to reach the fabled TEA MOUNTAIN, where they would be setting up camp for the evening. The trek took the group seven hours in total, which included numerous breaks and lunch, and one or two corrections to their route after wrong turns were made. Despite the setbacks and very tiring long day the group showed tremendous determination and spirit, and started to evolve from the group that they were into the team that they would become over the rest of their journey. As the night started to close in the team set up camp, and prepared their first evening meal. After filling themselves with a warm meal, the team settled down for an early night, hoping that a good sleep would see them in good stead for a second hard day of trekking. Unfortunately, the weather was not to be kind, as they lay in their tents, venturing out of their sleeping bags every so often to put another layer of clothing on as temperatures dropped preventing a good sleep. The next morning saw a team of students, already tired from the previous days trek and battered further by a freezing night that allowed for little sleep, surprisingly very keen to get started on the challenges of the new day. After a warm and well-deserved breakfast the team were told where on the map they were to be camping that evening, after which they headed off on another day hiking on their own. 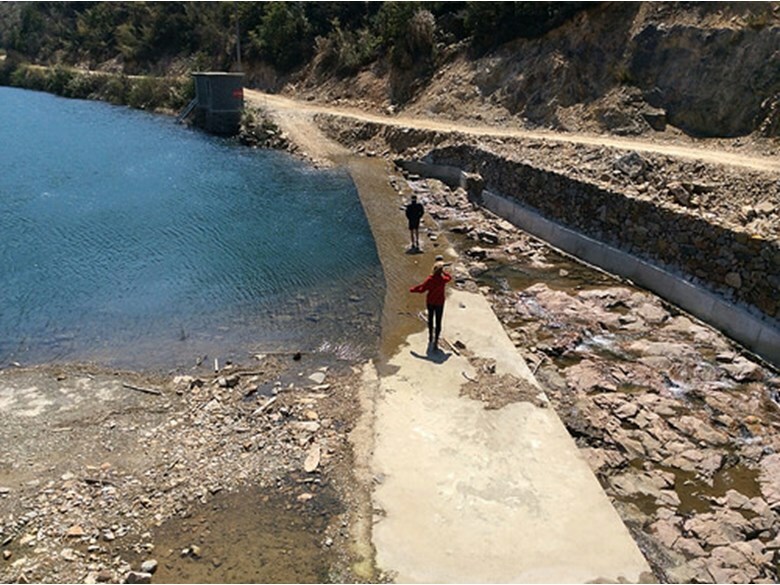 Even after one day of hiking the team had realised that the longer the breaks were the longer the days were, and so despite the team covering more distance than the first day, they pulled through with determination and teamwork to complete the trek far quicker. The second nights camp site was within the border of an ancient stone village, which at its height was occupied by over a thousand people, but now only home to around a hundred. After dinner and some relaxation time, the team hit the hay again, but were pleased to find that temperatures did not fall as far as the previous night. The next morning saw the end of the teams trekking journey, but once again Miss Kilpatrick and Mr Haley were in their hands to get them home to Shanghai safely, which by this point was no problem!